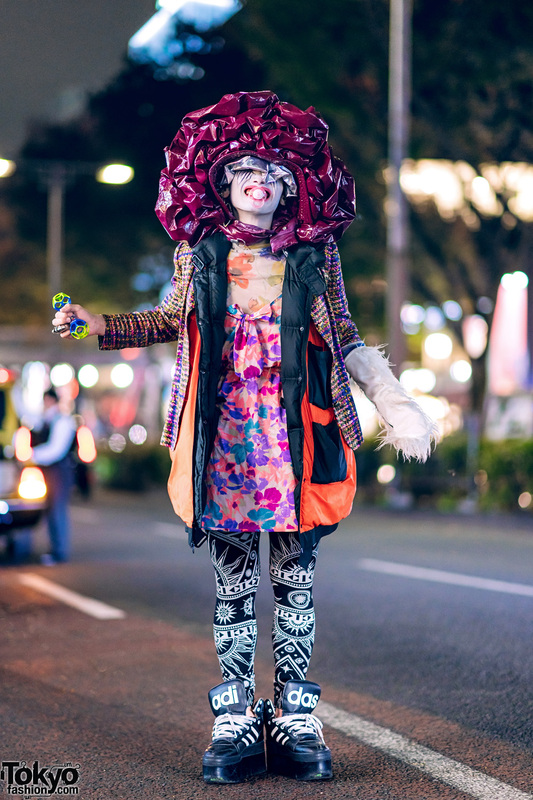 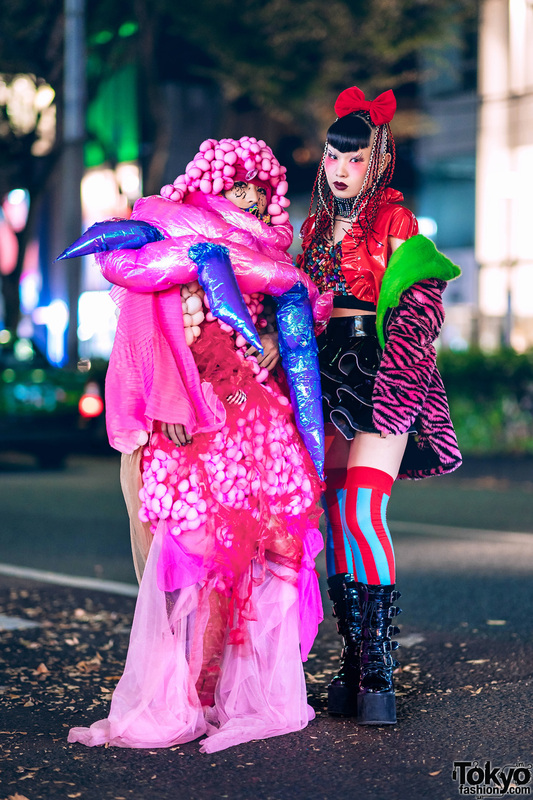 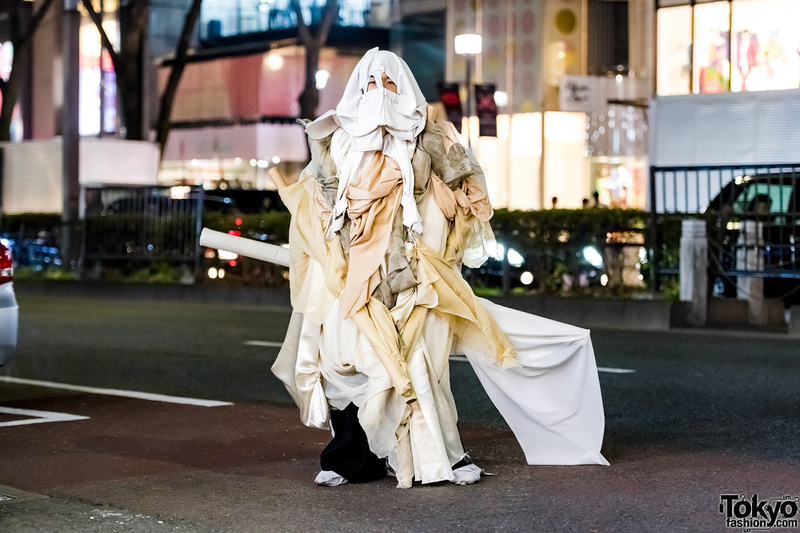 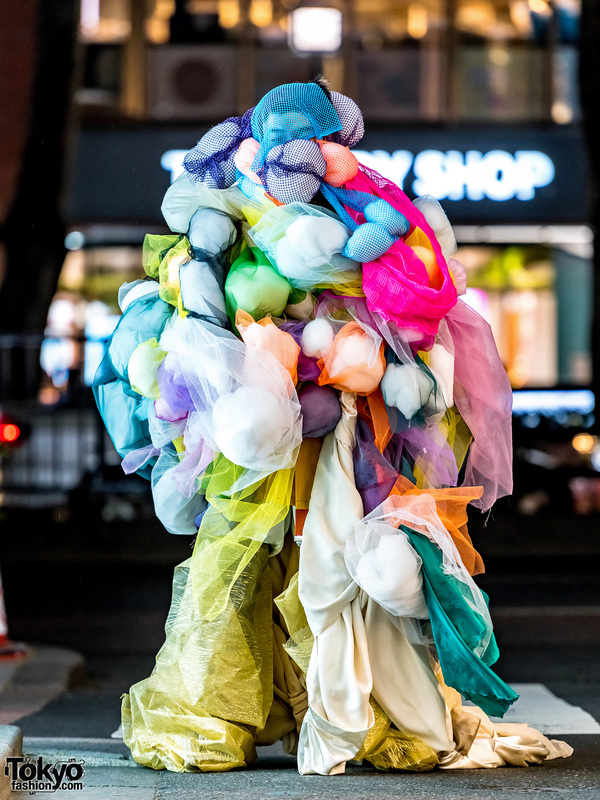 Japanese artist Minori on the street in Harajuku wearing a handmade fashion style and shironuri makeup. 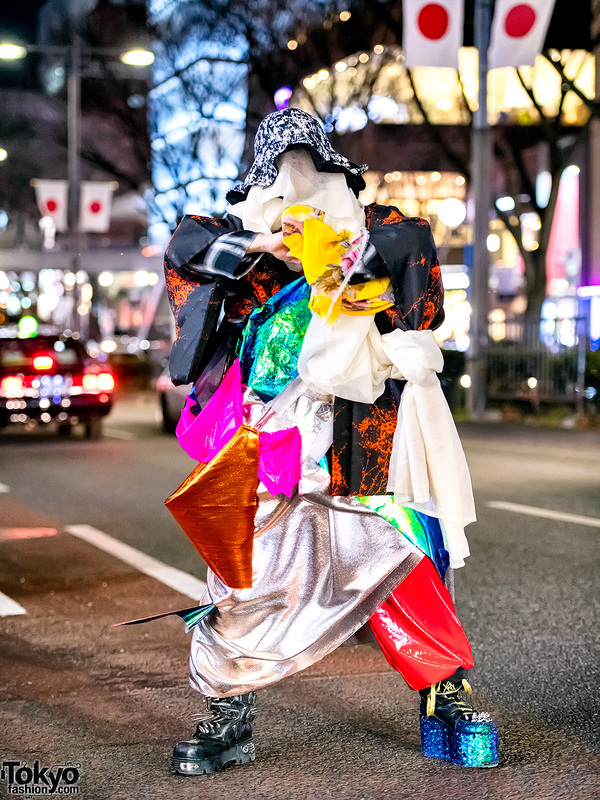 17-year-old Japanese student in colorful structural handmade fashion on the street in Harajuku. 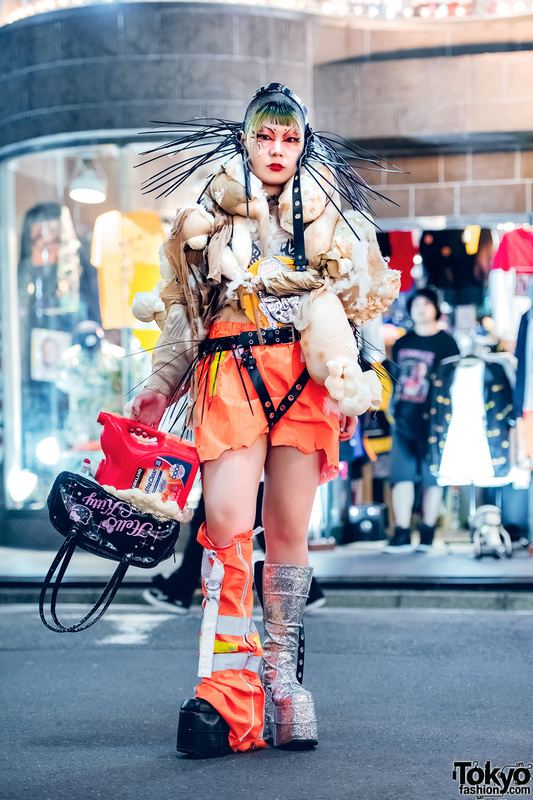 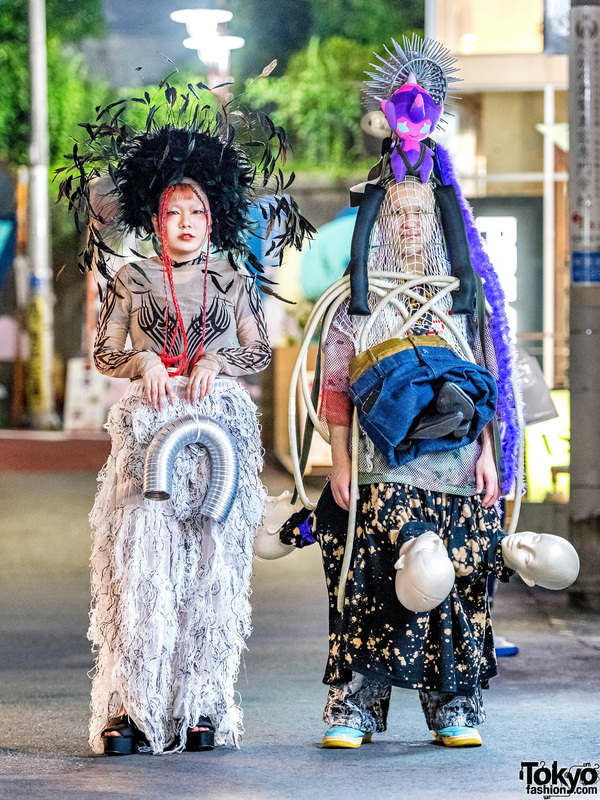 Harajuku fashion experimentalist in avant-garde handmade street style with bolts of fabric, black pants, covered footwear and statement headpiece. 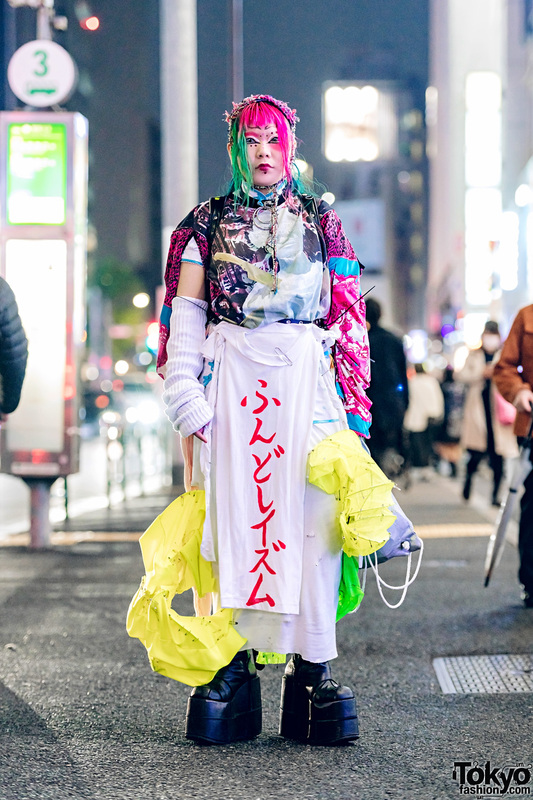 Japanese high school student in monk-inspired handmade street style with layered fashion and platform boots by both New Rock and YRU.